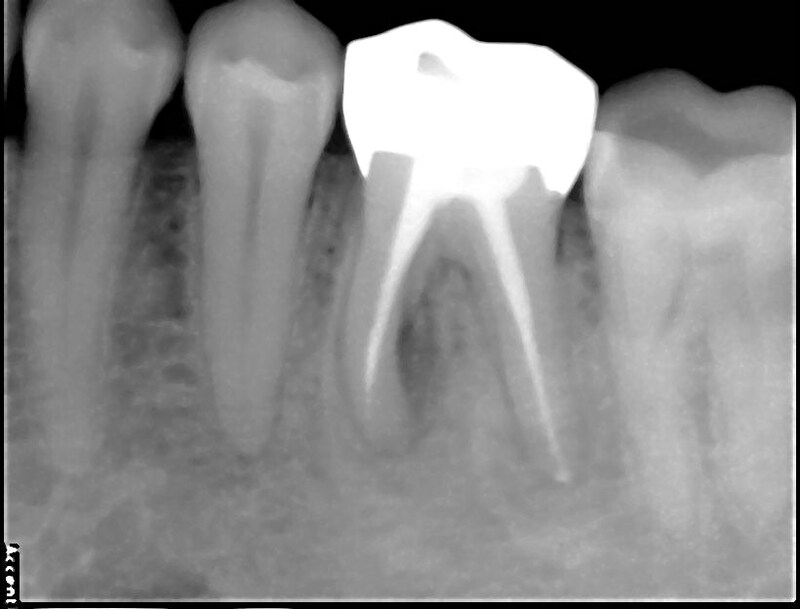 AFTER-Patient MV after 6 IPSe.max crowns were delivered on upper front teeth ! 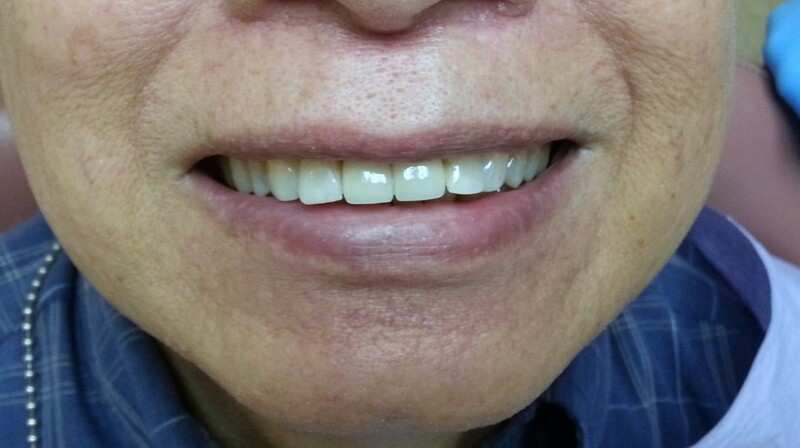 AFTER-Patient JY after 2 IPS e.max crowns delivered and all white fillings done ! “Now they don’t have to ask me ,I will smile all the time” he said ! 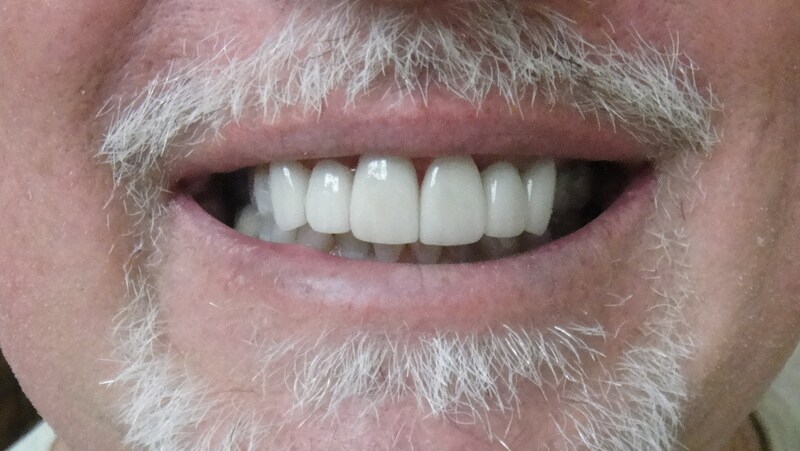 6 months after re-treatment the lesion is 80% healed,no swelling,no pain,no discomfort ! 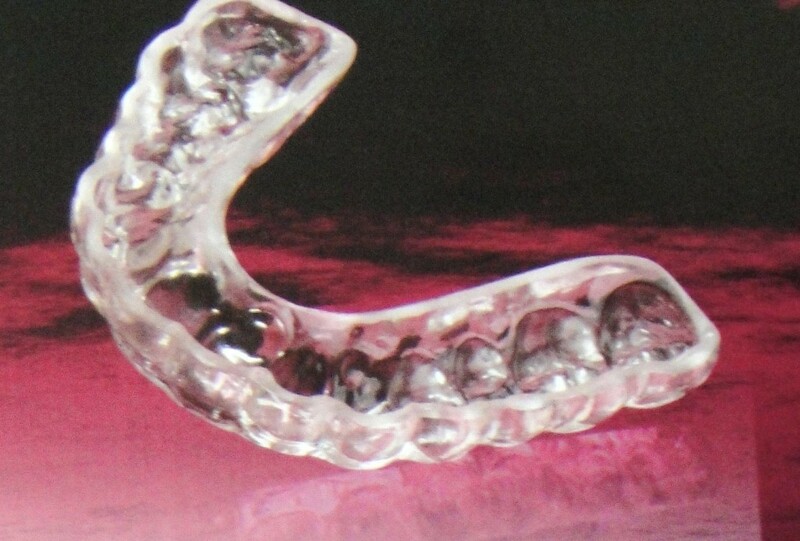 Occlusal mouthguard for patients who are grinding their teeth !